. إن الخدمات الممتازة وحسن الضيافة العالي في Major Mitchell Motel تجعل إقامتك تجربة لا تنسى. إن واي فاي مجاني في جميع الغرف, واي فاي في المناطق العامة, صف السيارات, خدمة الغرف, غرفة عائلية هي جزء فقط من الخدمات التي تميز Major Mitchell Motel عن باقي الفنادق في المدينة. ادخل إلى واحدة من الغرف 16 وتخلص من عناء نهار طويل بمساعدة مجموعة كبيرة من الخدمات كمثل اتصال لاسلكي بالإنترنت, اتصال لاسلكي بشبكة الإنترنت (مجاني), غرف لغير المدخنين, مكيف هواء, تدفئة الموجودة في بعض الغرف. إن حمام سباحة خارجي, حديقة هو المكان الأمثل في الفندق للاسترخاء وتفريغ طاقتك بعد نهار طويل. مهما كانت دواعي سفرك فإن Major Mitchell Motel هو خيار ممتاز لإقامتك في بورك. Very helpful staff. We arrived and they had not received info from Agoda but were happy to find us a room. We were upgraded to a family room as all other rooms had been booked out. 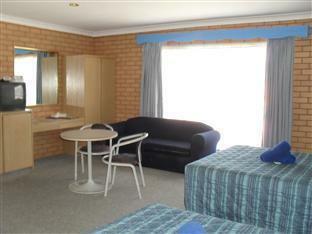 The delay in information being sent on could have left us with no motel for two nights. Thank you to the staff on duty the day we arrived. I have written a review but there is not enough room in this space to put it. 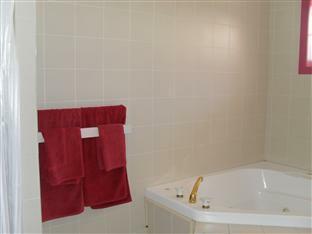 The single beds in the second room had poor quality linen and there were strands of hair all through the blankets. The beds were just two mattresses on top of each other, not actual beds. The tiles in the bathroom had been painted black and the paint was peeling off. My kids were scared to get in the shower. We can't complain about the price because it was great for a family room but would have liked my kids beds to be fresh and clean. 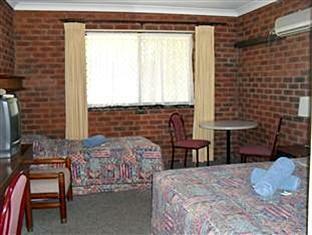 Really disappointed with this motel. The poorly painted and deteriorating shower didn't worry me as I expect things to be oldish when only paying $100 for the night but I would recommend to the owners that they urgently need to renew the shower heads and the beds and they need to ensure that each room has adequate plates, bowls, cups, cutlery, tea, coffee and sugar. Showers are really hopeless. Beds really saggy. Our room slept three but only had plates, bowls and cups for two. Had only one teaspoon and no dessert spoons (didn't need/use forks or knives). Another major disappointment was that agoda says there is a restaurant and that room service is available however it is not, it appears to be shut down and deteriorating. There was no guest information book advising anything about food options at the motel or in the town at all. 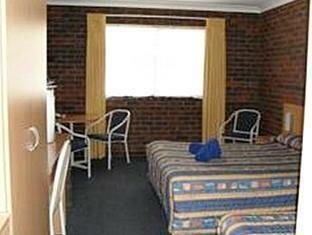 I feel this motel is on the verge of shutting down, it seems unloved. Very helpful staff. Quiet location. My room didnt get the wifi reception which was a little disappointing. Otherwise a very pleasant stay. I have nothing good about it. Upon arrival greeted by Manager, only to find out when Agod confirmed out booking the Motel was in fact fully booked, as we had seen on other sites, luckily for us, they had a cancellation just before we arrived. 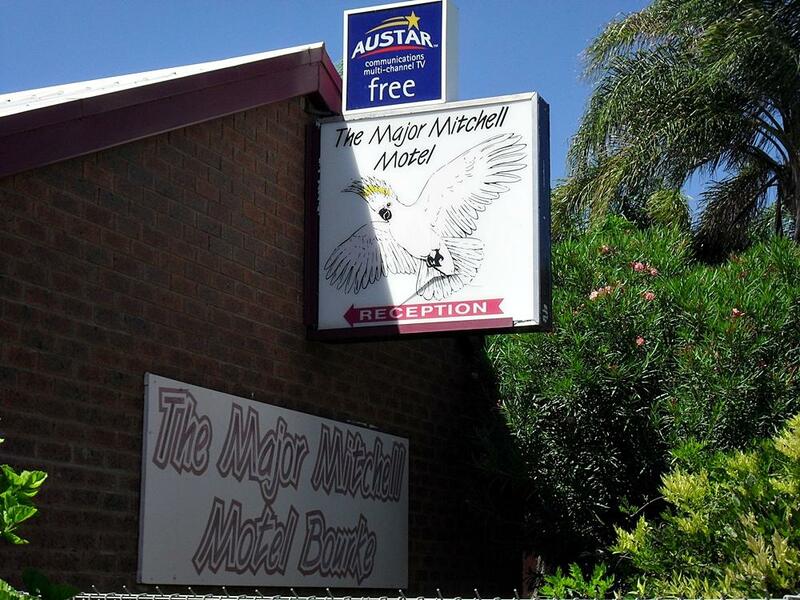 Ended up staying two nights and really enjoyed our stay in Bourke and at the Major Mitchell Motel. It was simple to checkin online, pickup key when we got there and checkout. Only issue (minor) took at least 8min before hot water came to tap in shower... We were the end unit so maybe took that long to get there? Otherwise a great overnight stay after a long day travel. Needed a bed when the town would be full.